Le restaurant Le Café Épicerie, installé dans le 5e arrondissement de Lyon sur une rue piétonne, vous reçoit dans un décor épuré et contemporain avec son plafond voûté, son parquet en bois foncé, ses murs en pierre apparentes et ses tapisseries de soierie lyonnaise. Au menu, le Chef vous propose une cuisine française fraîche et originale et manie avec brio et savoir-faire les épices, les huiles aromatiques et autres arômes qui donneront à vos mets des saveurs et senteurs que vos papilles ne seront pas près d´oublier. Si soleil accepte de dévoiler ses beaux rayons, vous pourrez profiter de la terrasse ombragée pour déguster votre repas. Et, pour vos événements festifs, la direction permet la privatisation du lieu. Ana Carolina Vallim Krawiec T.
The worst experience in Lyon. Tha staff and the food. Was impossible to eat the meal. The chairs are the same as a few years ago, really too narrow for a comfortable seat. Food is absolutely delicious, portions on the small side. Rico. Servicio rápido. Lugar calmo. ???? Amables. Servicio rápido. Rico. Agradable. Delicious food in a wonderful setting. Great food. Great service. They really made an effort. 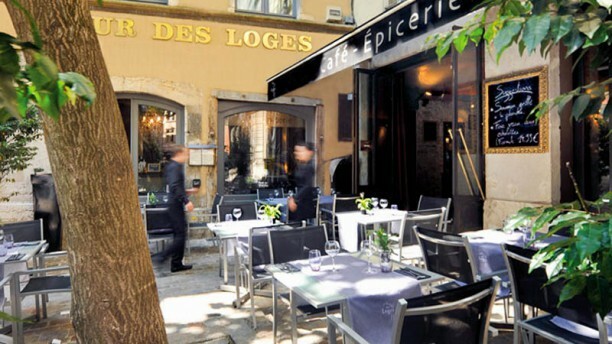 My daughter and I have been traveling in Paris and Aix en Provence and found this place on the site with good reviews. We took a chance on the salmon in a lemon cream appetizer-- we both thought it was tasty- and very different than anything we had before. We had the lamb and black truffle mashed potatoes--!@!?!Fantastic! As always the best and freshest ingredients, seasoned perfectly but simply- We both had a nice glass of wine as well. Service was attentive and polite, but not hovering. We came here for our anniversary because of a recommendation from friends who had been there a few nights beforehand. They had shown us pictures of their meals and we ordered exactly the same meals. However, what we got served was completely different, much smaller and not particularly good. When I asked the waitress about this she said it depends on which night you come as to what the meal will be like. Luck-dip is not a good business model in my opinion! We should have walked away when they said they didn't receive our online booking (which I had on my phone) and were then rude to us. Even though we didn't stay to order desserts or coffees etc, the bill was over 150 euros! I would not recommend this place. A great place in the Vieux Lyon, we were really surprised following The Fork reccomendation we reserved on line (about one hour before) and the ambiance and food were "superb". I really will encourage you to have the snails (escargots) and as main course I had the Red Tuna with sesam seed really, really good. A very nice place to have a romantic dinner in Lyon. Food was delicious, a great sunday lunch. Service was a little "off" (never brought our water, for example), but it wouldnt stop me from eating there again and again! Very nice restaurant, gourmet kitchen, generous dishes!